Cardinal and Turtle Scuptures Getting a Fresh Coat of Paint! It may be safe to say that the Cardinal and Turtle sculptures are Durham Central Park’s most loved features. Recently, they have started showing that love and they are ready to get back to looking new again. 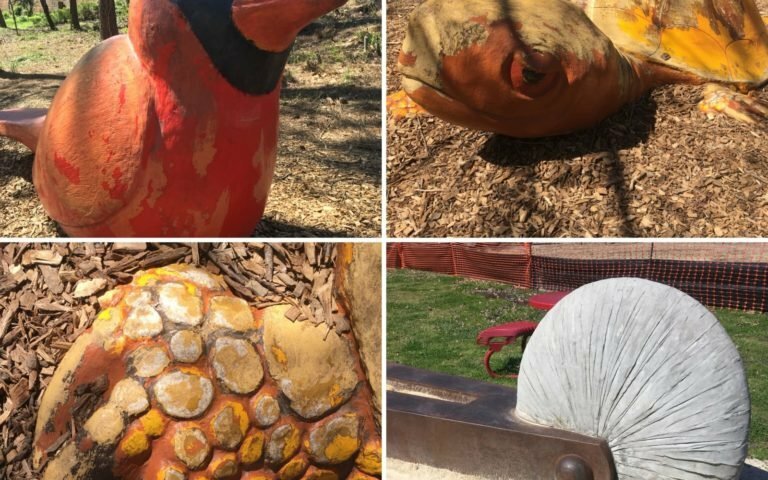 Starting on Thursday April 5 (weather permitting, of course), our beloved climbable sculptures – Rockin’ Reuben (the Cardinal), Mister Pickles (the Turtle) and the Earthsplitter sandbox (or whatever you love to call them) – will get a fresh coat of paint! Local artist Mike Waller, who created and installed these sculptures over the last several years, will be in the park working on them this week. He will put on several coats of fresh paint and and sealant. Then, we will need to let them thoroughly dry and cure so that the sculptures can go back to looking their best. The whole process will take about 7 days. During this time, all three of the sculptures will be fenced off and people are asked to stay off of them so that we can get the best results. Thanks so much for your patience during their maintenance. We’ll let you know as soon as they are ready to be climbed on again! The Liberty Warehouse Wall at Durham Central Park will soon have new public art on display now that the artist team has been chosen. Durham Central Park, Inc., Liberty Warehouse Apartments, and the City of Durham Office of Economic and Workforce Development, General Services Department, Durham Parks and Recreation, Public Art Committee, and Artist Selection Committee have chosen Noa Younse and Jennifer Hiser as the artist team to design and install public art for the Liberty Warehouse Wall. Their selection follows a participatory review process of 104 artist applications from across the United States responding to a national call for qualifications released in September 2017, and will mark the second major public art installation along the Durham SmART Vision Plan corridor. 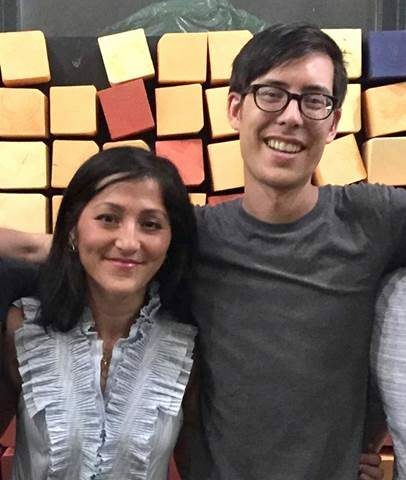 Younse and Hiser are a Brooklyn-based pair specializing in community-focused interactive public art. Using themes derived from each unique context, they strive to use art as a vehicle to generate local engagement, encourage individual and group expression, and add to the overall sense of place. The pair has been commissioned for projects across the country, from light-based visual installations to large, physical interactive experiences. The new public art installation at Durham Central Park will facilitate an interactive, engaging artistic experience in the heart of downtown Durham. Durham community members are invited to attend the “Meet the Artists Open House and Discussion” hosted by the City and Durham Central Park at Kompleks Creative, located at 106 West Parrish St., Suite 2, Durham. During this open house, the community will have the opportunity to meet Younse and Hiser, learn about the team’s artistic vision for this project, and provide comments to actively inform their design process. To further help artists connect with opportunities, the City has a Durham Calls for Artists page on its website, which lists a number of upcoming opportunities for artists in and around Durham. Artists and other stakeholders who would like to be notified of current and future art-related opportunities and news can now sign up for alerts through the Cultural and Public Art mailing list. For more information about the City’s Public Art Program, visit the City’s public art webpage. Artists interested in more information about the Public Art program may also contact Senior Economic Development Coordinator Brian Smith with the City’s Office of Economic and Workforce Development at (919) 560-4965, ext. 15205 or by email. Durham Central Park, Inc., is a 501(c)3 organization that holds a management agreement to operate, develop, and program Durham Central Park ,a five-acre, city-owned park downtown. Durham Central Park features numerous gardens, paths and benches, open fields, kids play area, climbable sculptures, a skate park, and a large pavilion that is home to the farmers’ market and other community events. Guided by the City’s Strategic Plan, the Office of Economic and Workforce Development helps ensure that Durham has a strong and diverse economy by increasing the city’s tax base through several revitalization initiatives, including new development efforts in the central city area. The department also plans and promotes cultural awareness and events, identifies and recruits target industries as well as assesses and trains Durham residents to fill new jobs. The General Services Department builds and maintains city properties to make Durham a great place for people to live, work and play. The department’s core functions include the acquisition and sale of properties, design and management of new construction and renovation projects, building maintenance, landscaping and urban forestry services, cemeteries management, sustainability and energy management, and supporting the nonprofit, Keep Durham Beautiful. For more information, visit: http://durhamnc.gov/733/. The Public Art Committee serves as an advisory body to the Durham City Council and the City Manager, and its functions include assisting the City’s Office of Economic and Workforce Development on matters relating to public art; implementation of the Public Art Policy; and reviewing proposals for public art projects brought to it by the City administration; and making recommendations to the Cultural Advisory Board regarding project approvals. 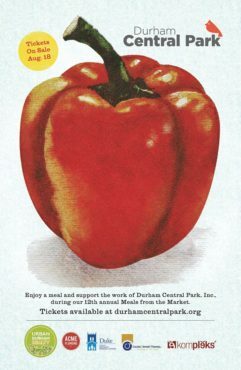 Thank you for donating to Durham Central Park! As our 2017 year end fundraising campaign (our annual Cardinal Campaign) wraps up, we are so humbled that the Durham community supports our efforts to manage and program Durham Central Park. We have raised nearly $30,000 through this year’s campaign! These funds will help us every day to work towards our mission of Providing Space for Community. From maintaining and improving a welcoming and accessible park in the heart of downtown, to providing high quality free programming, to safeguarding a space for Durham to be Durham, these funds will be spent wisely and carefully through the coming year. And as a token of our appreciation, we want to say THANK YOU! Remember that video that we posted last fall with highlights of the 2017 season at the park? Well, here is it again just a little warm reminder on this cold day of good times from last year and a reminder that warm, fun days are ahead. And if you haven’t had a chance to support the park through a donation, sponsorship of by volunteering, it’s not too late! There are many ways you can support the park – you can donate, become a park sustainer, sponsor an event, or volunteer at the park any time. Thank you so much for your support! Next week, we’ll have some great announcements about a big project coming to the park this summer! Street Closures and Big Machines! 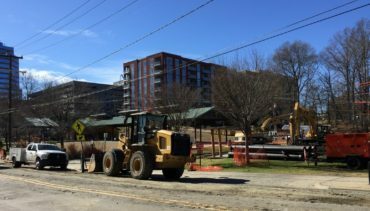 During the last several years, the City of Durham has been working on a massive waterline replacement project all through downtown. This winter, the replacement is barreling through Durham Central Park. For the next month or so, crews will be diligently working to upgrade the hundred+ year-old infrastructure with a new, modern piping system and the streets around the park (and a part of the park) will be torn up. 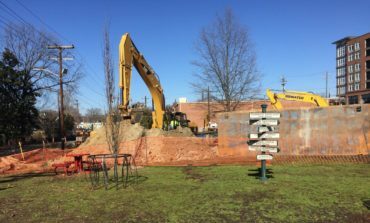 If you come to the park during the month of February to play, walk, eat or enjoy the Durham Farmers’ Market, you will notice a big hole in the ground in the grassy area to the north of the pavilion (the home of the Durham Craft Market). You will also notice that several trees have come out in the process. 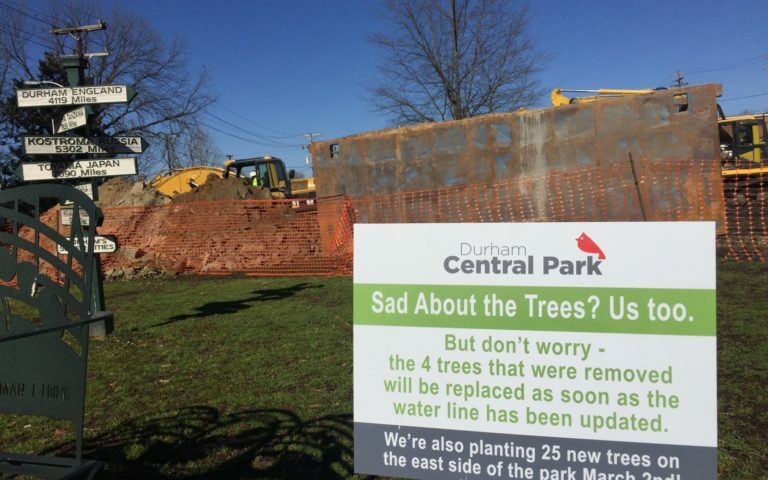 Sadly, the trees that made up the Sister Cities Grove were planted right over a huge storm drain in need of replacement. In the coming months, DCP, Inc. will be working with Durham’s Sister Cities organization to identify new trees to replace those that were lost. As soon as we can, we will plant new ones out of the path of underground utilities. Additionally, on March 2nd, we will be working with Durham’s Urban Forestry Department to plant 25 new trees on the east side of the park! All of this work in the park is projected to be finished by early March. In order to stay on schedule, the crews will likely be working on the weekends (outside of farmers’ market hours). So, if you (or your kids) love to watch big machines hard at work, we highly recommend scheduling a visit to the park very soon! It’s not often that you get such a great view of so many machines! Climb up on Mount Merrill for the best view. Finally, we can’t thank the City, the engineers, and the workers enough for timing this portion of the waterline replacement project for the middle of winter. We are glad that they are getting things upgraded and we are also looking forward to the park being put back together in the spring. And THANK YOU so much for your patience with this process! 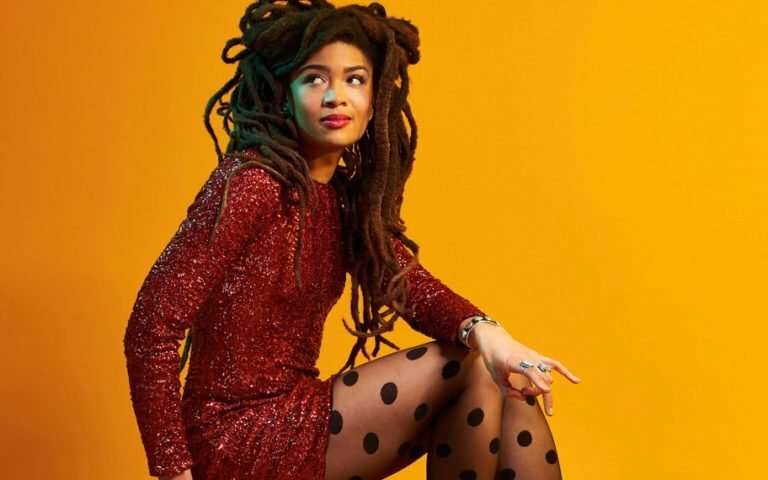 Valerie June headlines PLAYlist Friday, June 29! Rain or shine. Local craft beer vendors and food trucks on site. Full series lineup, June 8-August 10, TBA! Since songwriting comes to you in this way, do you have a bunch of phone recordings or a little field recorder you keep on you when you get ideas? I usually just do it on my iPhone when I’m getting a song. I pull out my phone and sing into it real quick, because things can make the voice leave me, like if a car comes thumping down the street and gets a song playing in there, I get off the channel of what I was receiving. Meals from the Market 2017 raises more than $30,000 for DCP! 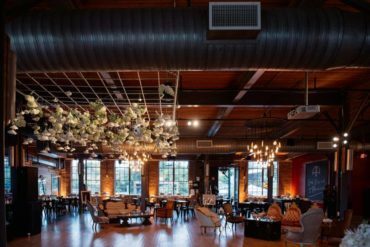 Durham’s chic rooftops, offices, restaurants, event spaces, private homes and Durham Central Park were the backdrop for 16 ticketed meals that raised more than $30,000 this fall for Durham Central Park, Inc. As a 501(c)3 organization, DCP Inc. relies on fundraisers like these plus the generosity of local residents and businesses to sustain the park. DCP, Inc. receives no funding from the City of Durham to manage, develop and program the park. Therefore, events like Meals from the Market are key to meeting the park’s fundraising goals every year. Thank you! 2nd annual Iron Pour returns November 18! 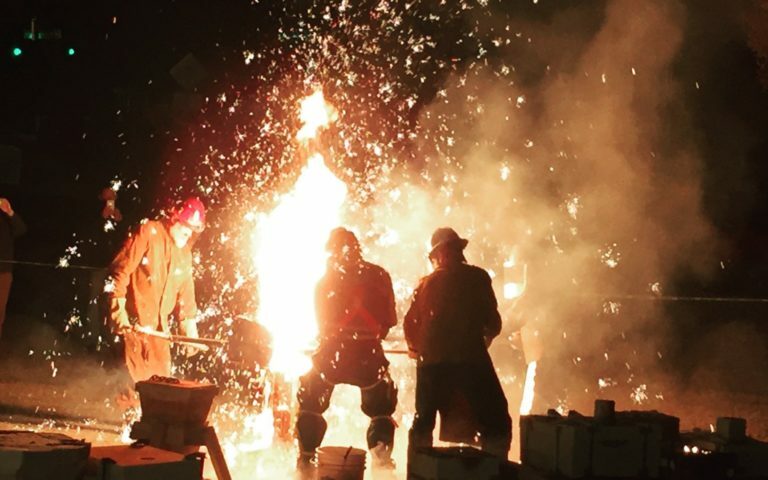 Durham Central Park and Liberty Arts Sculpture Studio & Foundry present their 2nd annual public iron pour at Durham Central Park, Saturday, November 18 from 4-9 p.m. After sunset, 1,500 pounds of molten, 2,500 degree iron will be poured into molds, in an exciting fiery display. 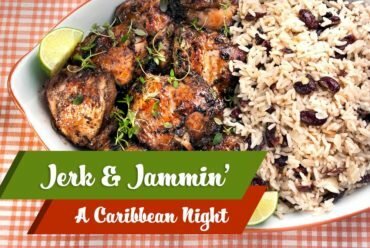 Additionally, there will be Liberty Arts artists’ work for sale, scratch block workshops, raffles, drumming performances from Batalá Durham, DJ Yammy, art, raffles, and local food trucks and craft beer. 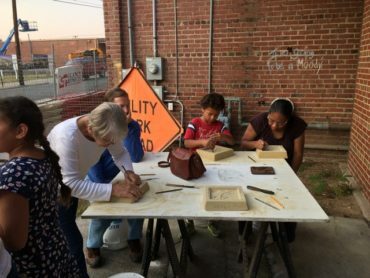 The public has several opportunities to make their own mold and cast iron art at the Liberty Arts Foundry at Durham Central Park during pre-pour scratch block workshops. The cost is $30 per mold. You will be able to take home your iron sculpture that day after it cools off or pick up the tiles that were too hot to take home Sunday, November 19, 10 am-12 pm. Saturday November 11, 10 a.m.-12 p.m.
Thursday November 16, 5-7 p.m.
Friday, November 17, 5-7 p.m.
Saturday, November 18, 10 a.m.-3 p.m.
“Come prepared with an design or let our artists help you design one–less detailed is often more successful” says Liberty Arts’ Executive Director Michelle Gonzales-Green. Admission to the iron pour is free. Blankets and folding chairs welcome. 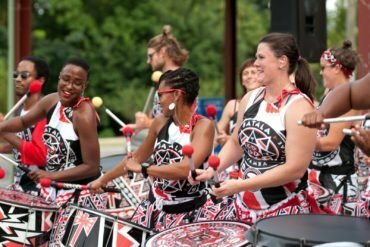 Food trucks and breweries will serve from 4-9 p.m., and to kick off the event, Batala will perform two sets between 4 and 5:30 p.m. 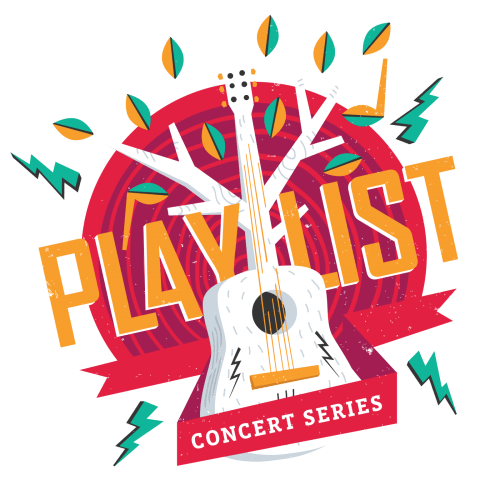 Schedule food trucks/brewers include The Pit, Route Bisto and Fullsteam Brewery. For more information, visit www.durhamcentralpark.org. For information about the scratch block workshop, contact Liberty Arts at (919) 260-2931 or register online here. We are pleased to announce that we have issued an RFQ for a brand new piece of public art in the DCP! Durham Central Park, Inc., Liberty Warehouse Apartments and the City of Durham, NC Government North Carolina General Services Department in collaboration with the Office of Economic and Workforce Development, Durham Parks and Recreation and the Durham Cultural Advisory Board’s Public Art Committee, invite qualified artists or artist teams to submit qualifications to design, fabricate, and install signature public art on the Liberty Warehouse Wall in Durham Central Park. Site Info: The site of the proposed art wall is a newly constructed brick wall that forms the northeastern boundary of the park and encloses the neighboring Liberty Warehouse Apartments. The brick wall is composed of 5 panels that are interrupted by brick pilasters. On average, the wall height measures approximately 11 feet tall. It totals approximately 110 feet in length. The wall is composed of a concrete masonry unit (CMU) with a brick veneer. The use of the entire wall length (5 panels) is not required, but a competitive submission will preferably activate at least 3 panels. In addition, submissions are allowed but not required to project out onto the ground plane a maximum of 15 feet from the wall.